Our grills processed through a state-of-the-art technology machines and treatments, making it very strong and as well as beautiful. They endure all weather and require least maintenance. Please contact us for more details. Available thikness: 5mm, 6. 25mm, 7mm, 7. 5mm, 10mm. 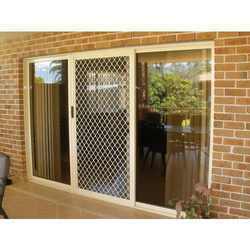 Attractive range of Aluminium Security Window Grills that we offer is designed as per the need of clients in various commercial and residential rooms. These are provided in various specifications. 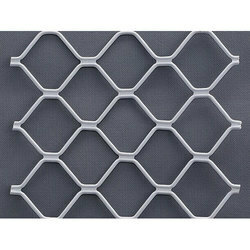 We supply these Aluminium Grills throughout the world at competitive prices. These are widely appreciated by our clients because of high durability and customized designs.